Former Oregon coach Mike White replaced Connie Clark as Texas' head coach last May. White wants Texas to play more aggressively and score more runs; Oregon averaged 6.11 runs a game last year. Only one UT player chose to leave when White was hired; by contrast, nine Oregon players transferred after White left. Texas junior Kaitlyn Washington knows what it’s like to play postseason softball at McCombs Field. While playing for Humble Atascocita High in 2016, Washington traveled to Austin for the state tournament being held at UT’s home stadium. Longhorns teammates Janna Roberts (Pearland) and McKenzie Parker (Willis) also played state tournament games at McCombs. But McCombs Field and the postseason have not been synonymous since Washington arrived on campus, however. In fact, Texas has traveled for the regional round of the NCAA tournament each of the last five years. The expectations are that will change this season. Texas enters this spring ranked 16th in the preseason polls compiled by USA Softball and the NFCA. The upstart Softball America tabbed UT as the ninth-best team in its inaugural rankings. When the NCAA tournament begins in May, by the way, the top 16 teams will host a regional. “People can say how good we’re going to be, but it’s really just up to us to be good,” Washington said. So, just how good can Texas be? The Longhorns will begin to answer that question this weekend. Texas hosts five games over the first weekend of the season. Its first two appearances are scheduled for Friday. First up for Texas is Northwestern State at 4:30 p.m. on Friday. The showdown with the Lady Demons will be the first game at Texas for new head coach Mike White. Four transfers from Oregon, where White had coached the previous nine seasons, and five freshmen also will make their UT debuts. White replaces Connie Clark, who resigned last May after spending 22 seasons with the program she founded. All but one of the 14 players that White inherited opted to stay at UT. That was in stark contrast to an Oregon program that has lost nine transfers since it hired former Oklahoma assistant Melyssa Lombardi to succeed White. Texas struggled offensively throughout last season. The Longhorns, who went 33-26, ranked 227th nationally averaging 3.46 runs a game. Texas scored more than six runs only 10 times. Meanwhile, Oregon, under White, averaged 6.11 runs. 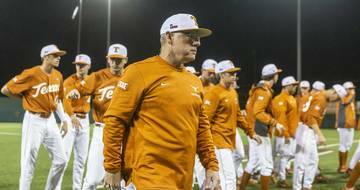 Upon his hire, White analyzed that Texas needed to hit more homers and steal more bases. He later said the Longhorns wouldn’t be married to their defensive positions because he just wanted to insert his best bats into the lineup. 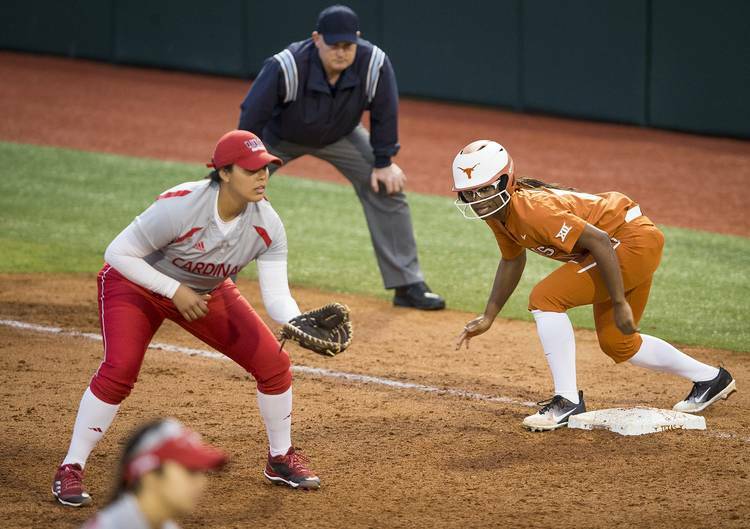 White said this week that more softballs were being hit over the fence in practice, and the Longhorns battled to a 10-9 score in an intrasquad scrimmage on Wednesday. White joked on Wednesday that “right now, I’ve got a great problem. I don’t know where to play everybody.” The goal of this opening weekend will be to win every game, but White will use multiple lineups. Junior Miranda Elish, who spent the last two years at Oregon, and reigning all-conference honoree Brooke Bolinger should see the majority of the time in the pitcher’s circle. In addition to Northwestern State, Boston College and Boise State also are in town for the annual Texas Classic. Boise State, which will play Texas on Saturday afternoon, joined the Longhorns in a Washington-hosted regional in last year’s NCAA tournament. Sunday — Boston College vs. Boise State, 10 a.m.; Texas vs. Northwestern State, 12:30 p.m.